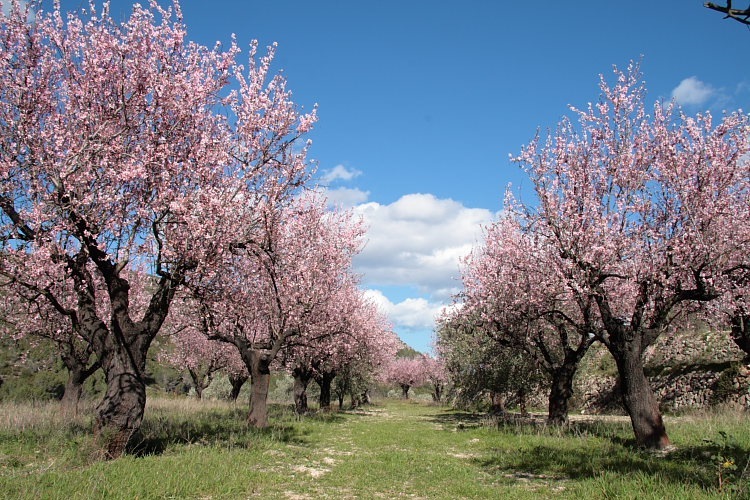 There was a lot of dry weather and some some today so, acting upon information received, we drove half way up the Bérnia in search of almond blossom. Just before we came over it looked as though our timing was going to be perfecto. 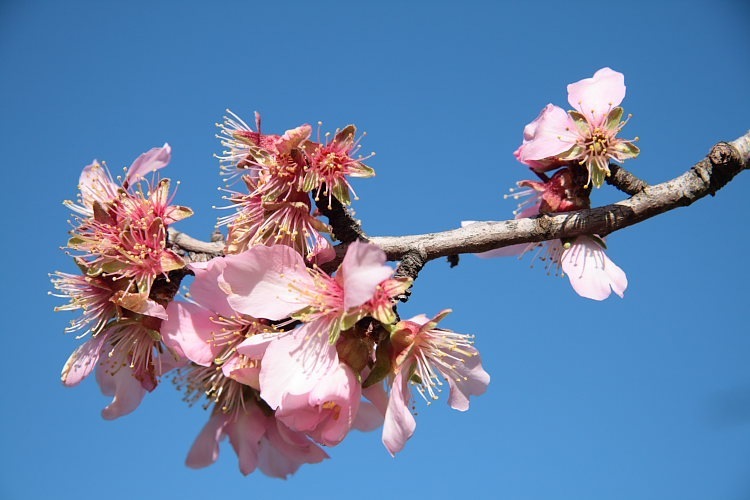 However, last week’s rain and cool weather seems to have thrown a spanner into the almond blossom development works. Consequently, now we have trees yet to flower, some which are laden with flowers, and others which have gone over. The blossom display wasn’t as impressive as our first year over here but here are a couple of shots to give you a flavour. The floor of the Jalon valley is essentially a vineyard, hence all that deliciously cheap rosado. 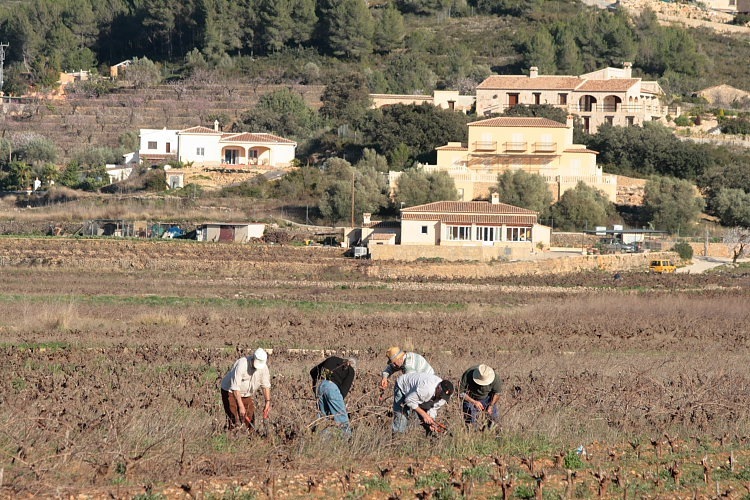 As we were wending our way back, threading our way through the vines to skip around the immensely irritating traffic lights in Lliber, we stumbled across a small group of workers manually pruning the old wood off the vines making ready for the approaching new growing season. Carol couldn’t resist asking the driver to screech to a halt while she pointed her long lens in their general direction. Naturally we had to drink to the vine pruners’ health when we arrived back “home”.